Hiring expert business removalist is the best way to move your enterprise. When the need to hire them comes into consideration, we are always taken aback by the big question, is it worth it? Lack of knowledge can strike fear. That much is true. But once you realize the benefits of hiring expert business removalist, you can easily balance the scale and make a certain decision. Transfer of business location is not an easy task. In fact, there is too much legwork involved. With your schedule being the business owner, you may not afford to spend time just to be on top of this endeavour. And for the record, you’d really need plenty of time especially if you’d opt to do things on your own. Neither you can take the risks. Since this could be your first time moving your enterprise, the process may appear easy to you. And you could be easily tempted to try and figure things out on your own. You do have the funds to hire your own people anyway. Get your own transportation, get packing supplies and execute the move. “It could work”, you might be telling yourself. After all, a huge part of being a business person is the guts of taking risks. Admirable. But that’s not really the kind of risk you need to challenge yourself against. Things can easily go the other way. You’ll definitely need to reconsider. The main difference between unprofessional and professional moving office team is workflow. Expert business removalist executes an enterprise transfer in an organised manner. Thus, they can easily maintain control over contingencies before and after the process. Because every step of the way follows an organised process. Each member of the removal team has their own specific functions which they should carry out responsibly. For example, every member is responsible for making sure that every box’s seal is tight. Furthermore, supervisors will oversee the team execution to ensure quality. And each removalist is well bonded to the rest of the team. They’ll easily recognize whoever belongs to the group. Thus, eliminating stranger danger. The structure of the workflow is the key factor to a guaranteed security in your move. Moving your office can be so time-consuming. But as much as possible you’d want to move without any delay. Every minute spent on the move could’ve been a penny’s worth of revenue. The sooner you get back on your feet at the new location, the sooner you can resume operation. Which is why you need professional help. They can execute the task in a timely manner. They’d sit with you in planning office moves and you can trust that execution should be superb. Time is a valued asset for office movers. They will do the process as quick as possible since they value time as much as you would. Organising your own transfer of location is a very stressful endeavour. You will have too many tasks to attend to, from pre to post. Hiring professionals save you from all that stress. This is probably one of the most significant benefits of hiring an expert and reliable removalist. They can do all the hard work that this endeavour needs. While all preparations are being executed to the new place you can continue your operation and only stop operation during the move. Thus, minimising downtime damage and loss. And giving more convenience to your part as the owner. 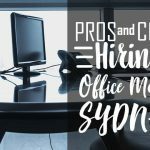 Any business that undergoes office removals benefits a lot when they seek help from the professionals. These people have the necessary training, expertise, and experience to carry out your move. Likewise, they are trained to pack and move your things efficiently. Not to mention, they help you in terms of physical help from lifting, carrying and loading of the materials and equipment. The team will also provide their insights and recommendation on what to do best when moving. Thus, you can save time and effort instead of doing it on your own. These professional business removalists know what they are doing. They are experts who deal with removals on a daily basis so they have plenty of experience. They know how to cope up with different situations and you can trust their work. Moving will eventually become a common option to any enterprise. Especially when it’s really growing. But moving is a risky venture. Not only for your office equipment but also to overall productivity. Having said that, moving requires efficiency and high calibre workforce. Professionals can do things without compromising the magnitude to do your operation. Thus, expert business removalist is what all you need. Want to hire Expert business removalist now? Choose the right expert. 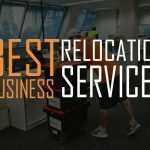 Choose Business Relocation Services for the removalist. We are just one call away. Movers will also give advice and liaise with you about which items should on transport first.